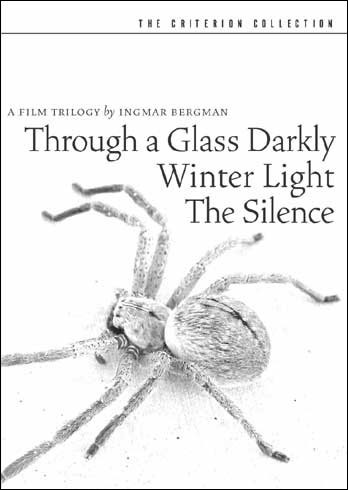 In 1963 Bergman published the screenplays for Through A Glass Darkly, Winter Light, and The Silence in a single volume. In an introductory note the director gave his reasons for uniting the three films, a rationale that has influenced their reception over the past fifty years, Bergman wrote: "These three films deal with reduction. Through A Glass Darkly - conquered certainty. Winter Light - penetrated certainty. The Silence - God's silence - the negative imprint. Therefore, they constitute a trilogy." Film critics and historians absorbed this construct into their reviews and essays for years. 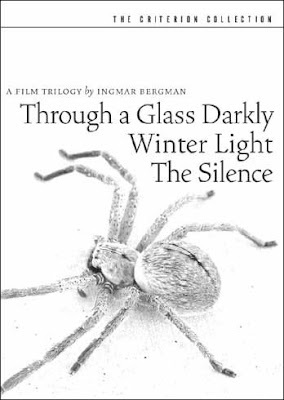 In his 1969 analysis of Bergman's films, titled Ingmar Bergman, Robin Wood grouped the three films under the chapter heading " The Trilogy", without further mention of the concept. Others' greeted Bergman's statement more skeptically. Despite the fact that some critics felt the idea of a trilogy was rationalization after the fact, there is evidence that Bergman had considered the films a trilogy all along. Decades later Bergman recanted. In 1999, the director collaborated with film critic and friend Lasse Bergstrom to review all of his films. What resulted from these sessions is Images: a book of Bergman's personal reflections on his life's works. After almost thirty years of recognizing the trilogy as a trilogy, Bergman shifted his opinion: "Today I feel that the "trilogy" has neither rhyme nor reason. It was a Schnaps-Idee, as the Bavarians say, meaning that it's an idea found at the bottom of a glass of alcohol, not always holding up when examined in the sober light of day." Now film scholars, and Bergman's loyal audience are faced with the challenge of reconciling the director's two conflicting statements of intent, one made in the throes of creation, the other at a distance of decades. Despite Bergman's skepticism, however, the idea of the trilogy is permanenetly ingrained in the critical discourse that his work has inspired.